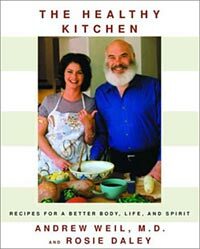 A lifestyle book as much as a cookbook, The Healthy Kitchen is a collaboration between Rosie Daley (author of In the Kitchen with Rosie and former Oprah Winfrey chef) and Andrew Weil (nutrition guru and author of Eating Well for Optimum Health). 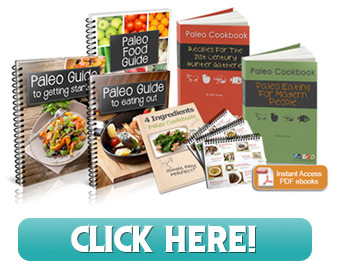 Both are successful authors and good at what they do; he provides the nutritional backbone to the recipes (his introduction is a concise version of his dietary philosophy with more advice found throughout the book), and she provides the balance of great taste and easy preparation. It’s a winning combination, and the result is a useable guide to healthy cooking with a collection of 135 recipes good for your stomach, heart and indeed, spirit. Roasted Cornish Hens with Roasted Garlic, Smoked Fish with Horseradish Sauce, and Thai Shrimp and Papaya Salad are a few of the more adventurous dishes, while there are lots of standards too (pasta, grilled fish…). The useful “Tips from Rosie’s Kitchen” and “Andy Suggests” boxes are nice additions to the recipes, giving the book a personal touch—you can almost hear Rosie and Andy bantering in the background. This one really is good for you.